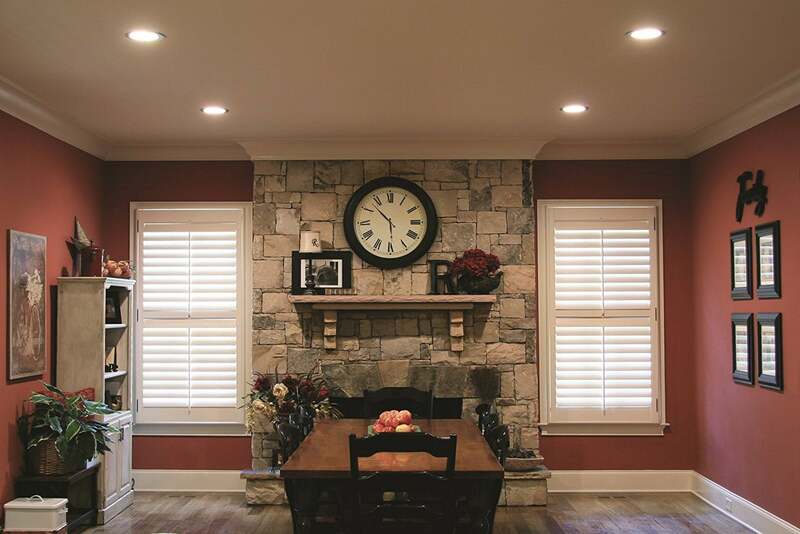 If you haven’t remodeled in recent years, you might be surprised to find that new canister-style lights no longer include the traditional recessed receptacle that accepts a screw-in bulb. Rather, the light fixture itself is static, including a ring of LEDs inside a sealed module. When the LEDs eventually die (after 10 years or so), you just replace the whole thing rather than removing and screwing in a new light bulb. But what if you already have older-style canisters in your ceiling? 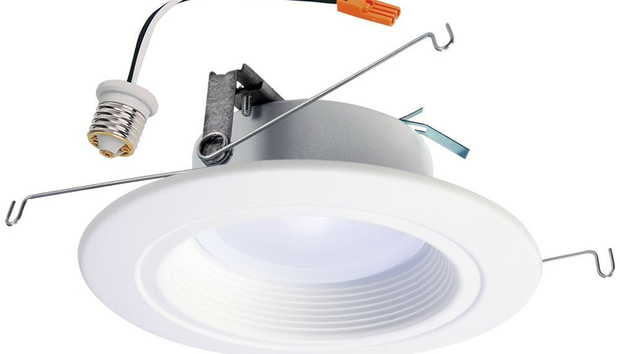 Eaton’s Halo Connect line offers a smart way to retrofit them, not by merely replacing an old incandescent BR style bulb with an LED, but by sliding in an entirely new downlight fixture that instantly modernizes the old unit. Upgrading your recessed incandescent lighting with smart LED cans is relatively easy and not very expensive. The Halo RL56 Wireless contains everything you need to retrofit a single 5- or 6-inch canister (4-inch cans are also available at Amazon), not just upgrading the look and replacing it with a modern LED light source, but giving it ZigBee connectivity features, too. To see how well they work, I installed three of the RL56 modules in a master bedroom, replacing three 5-inch canisters. 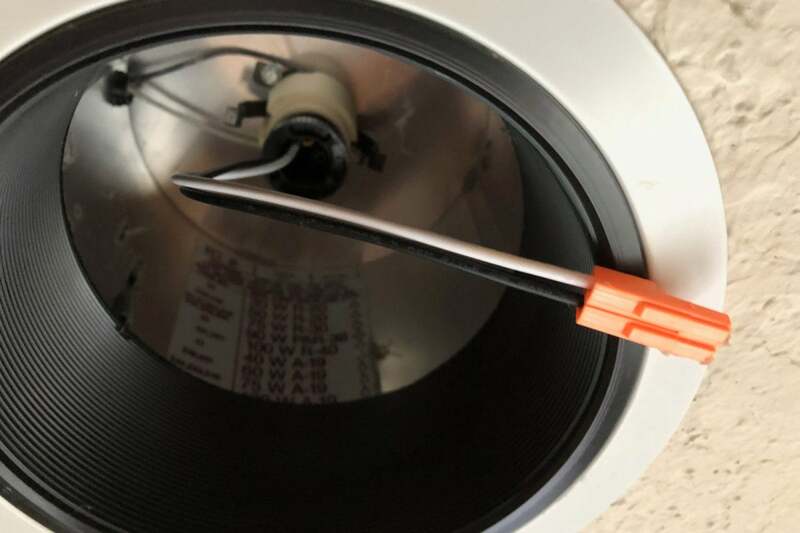 The biggest drawback of retrofit lighting like this is that installation can be difficult, though the units are at least intended to be simple. In theory, you simply screw an adapter into your old Edison-style socket and connect a pigtail plug to a connector on the LED module. That’s the easy part. From there you must use one of two methods to physically mount the module inside the old canister. Two options are included with the Halo Connect: two pairs of torsion spring brackets, or a trio of friction clips. Once connected, spring clips can be used to hold the LED module in place. Torsion springs work by holding on to clips mounted inside the canister. It turned out that my canisters didn’t have these clips, but I managed to get the springs to work anyway as I found they could clip on to the top of the black cylinder inside the can—sort of, anyway. It took some trial and error to get the clips to hang on, and when they didn’t grip, they would snap back like a mousetrap, catching my fingers more than once. The friction clips are another option, but these require extra assembly on the user’s part. The included instructions, like many electrical products, are not written with even the slightest hint of usability in mind. Presented as a lengthy, double-sided sheet of paper in umpteen languages, the document is obtuse and confusing, even after careful reading. For example, a separate ground wire is included in the LED module, but the instructions are unclear when this needs to be connected. Once installed, it’s time to connect your lights to your smart home hub. 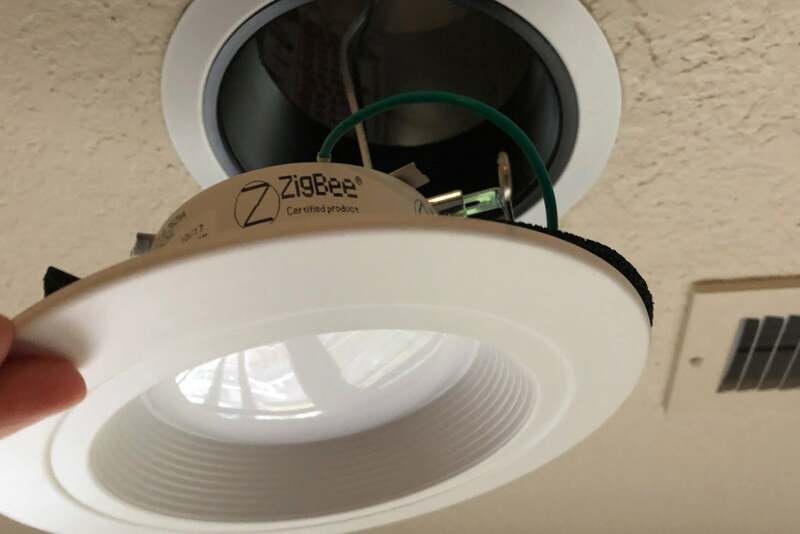 As simple ZigBee devices, the Halo lights don’t have their own app, but rather work with your existing hub—including both SmartThings and Wink. I set the lights up with a Wink Hub 2, and the process went smoothly. I assumed I’d need to set them up one at a time, and though this wasn’t clear, Wink discovered all three lights at once. I didn’t notice, though, because it had buried the other two lights at random spots in its device list. It wasn’t until I’d disconnected them to try reinstalling them again, one at a time, that I realized my mistake, but eventually I had everything running smoothly. This pigtail screws into your old lightbulb socket; the orange plug attaches to the new LED module. With the Wink app, I was able to group the lights into a gang that work together, change the color temperature of the light, dim them, and set automatic timers, all in unison. While they can be a bit slow to respond, I’ve been impressed with the quality of the light and, particularly, the brightness. While rated at 600 lumens (65-watt equivalent) and drawing less than 10 watts of power, they’re brighter than the 75-watt incandescents they replaced, perhaps in part because the light source is closer to being flush with the ceiling rather than being significantly recessed. The bulbs miss commands from the Wink app from time to time, but it’s hard to tell whether this is Halo’s fault, or Wink’s. Ultimately, I’m quite impressed with the kit (and especially with the price), and provided you have a little patience (and are willing to take a few raps to the knuckles from the spring clips), I fully recommend them for anyone looking to upgrade the look—and capabilities—of existing recessed canisters. Note: These fixtures are also marketed by Eaton subsidiary Cooper Industries as the Halo RL560.